In the digital age, printers get a bad rap as outdated and inefficient. But some new all-in-one devices still bring value and convenience to today’s offices. 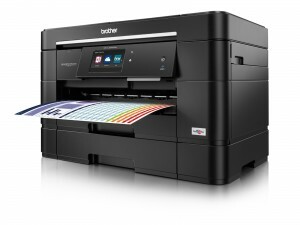 Brother’s multifunction MFC-J5920DW printer offers a full complement of features typical of a modern printer/scanner/fax machine. You can read my review in CDW’s BizTech magazine here. This entry was posted in Product reviews by dstrom. Bookmark the permalink.